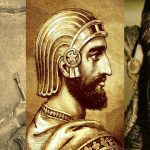 Cyrus the Great, the founder of Achaemenes Empire, is one of the most popular kings of Iran. The dedicated king respected equality among people and appreciated his people during his throne. 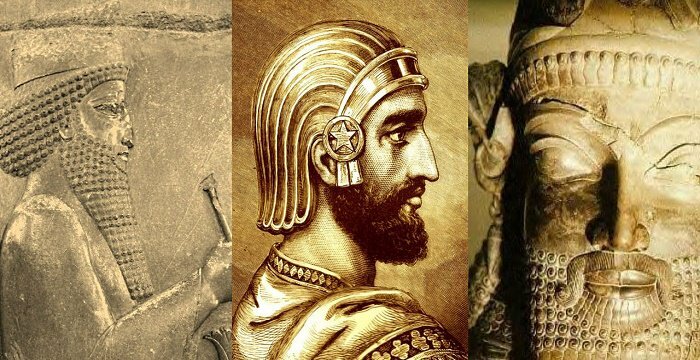 He ruled over many Asian parts from 529 to 559 B. C. According to the lines in his charter of law, he was brought up in a royal family. The historical documents and narratives indicate that after 30 years of his reign, he was killed in a battle with the tribe of Massagetae. The king was badly injured in the incident and died after 3 painful days. 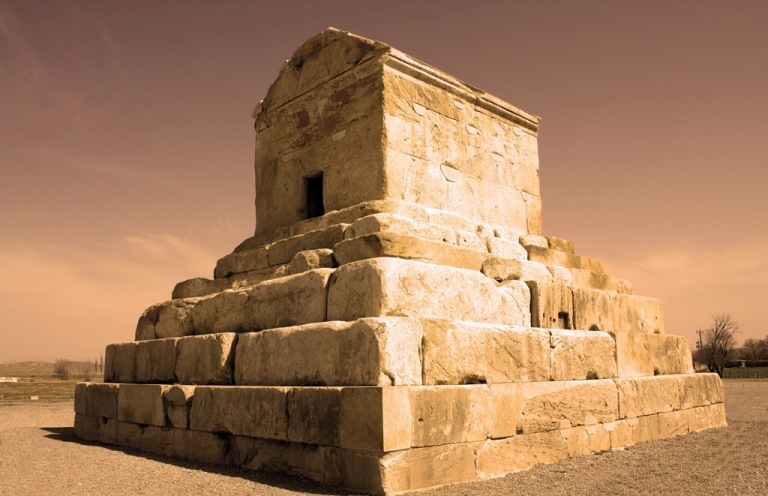 His dead body was moved to Pasargadae, surrounded by the field of Murgab amid the mountains. 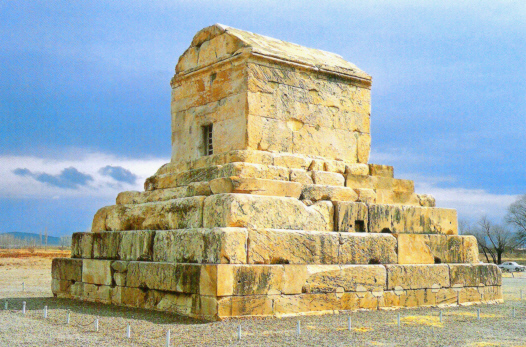 The prominent part of Pasargadae collection, was spotted in 1820. The complex lies almost 75 km from the magnificent Persepolis. 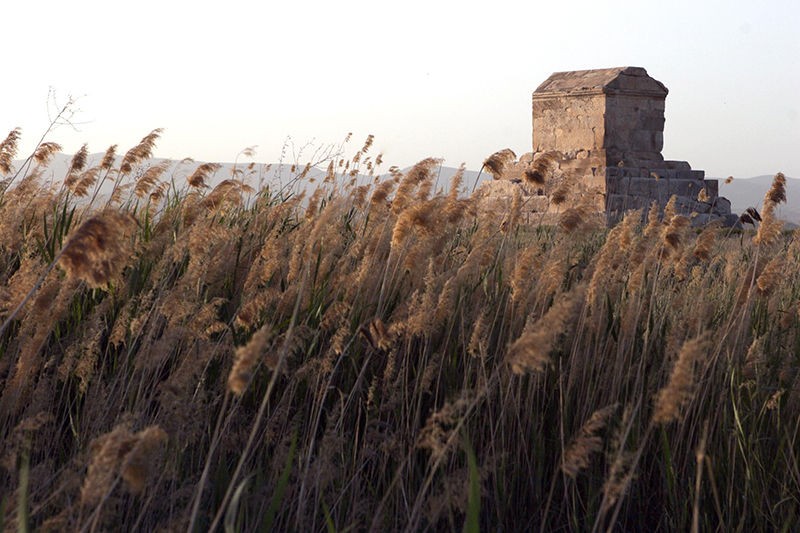 The mausoleum amid the lush green field, contains huge rocks, some 7 m long in some cases. The huge rocks used to be linked through metal fasteners, which were stolen later on. Although the building was restored, their hollow space still remain there. 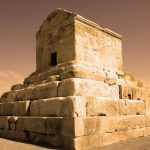 As for the field of Pasargadae, it dates back to Paleolithic period and boasts glorious, impressive mansions of the magnificent Achaemenes period all the way though. Also, Pasargadae is the name of the first Achaemenes capital. 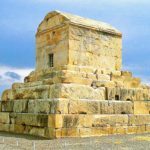 The shining gem of Cyrus Tomb is an invaluable historic structure in the royal complex and is located in the south part, so that it can be viewed from every direction. The plain yet beautifully made edifice covers an area of close to 160 square meters, with stairs, over 11 m. in height. The tomb, made of white limestone, is obviously divided in two distinctive parts: one is a six-stair platform whose rectangular base reaches 165 square meters, and the next is a small chamber in an area of 7.5 square meters with steeped ceiling. 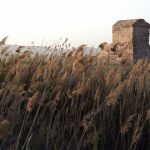 The walls reach a thickness of 1.5 m.
The tourism spot features history and nature impressively. The philanthropist king’s tomb hosts many sightseers from all over the world.